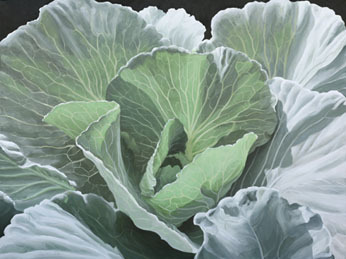 Backlit cabbage leaves glow with a range of soft greens and speaks of the joy of summer gardening. This particular loose leaf cabbage grew so well because I accidentally planted it in the hoop house thinking it was kohlrabi. 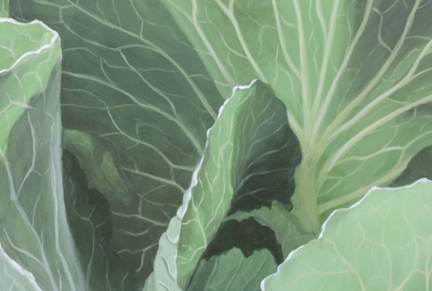 Even though it greatly exceeded the space available, it made a lovely subject for a painting. This painting was included in my recent book, Creating Exceptional Color in Acrylics and is available to purchase. Copyright © Lexi Sundell 2010-2017 All Rights Reserved.